Ten of Horror's biggest authors tell a haunting tale of revenge. Ten horror authors stitch together a haunting tale of sci-fi horror in which the women abused by the ultimate terrible media man take exquisite revenge. Created in the style of the classic parlor game, Exquisite Corpse, ten of Horror's most terrifying authors each contributed a chapter, picking up the story where the previous writer left it, adding their own nightmarish short installment and passing it on to the next (un)lucky participant. Exquisite Corpse takes everything that’s great about our full length series— collaboration, serialization, ebook and audio bundled—and delivers a story that’s quicker and more experimental. A dying filmmaker determined to turn his own expiration into his most celebrated work of art enlists one of his former actresses, Annie, to assist. But when he relinquishes the director's chair he also relinquishes his power, and Annie has her own plans for this most final of performances. A haunting tale of sci-fi horror in which the women abused by the ultimate terrible media man take exquisite revenge. 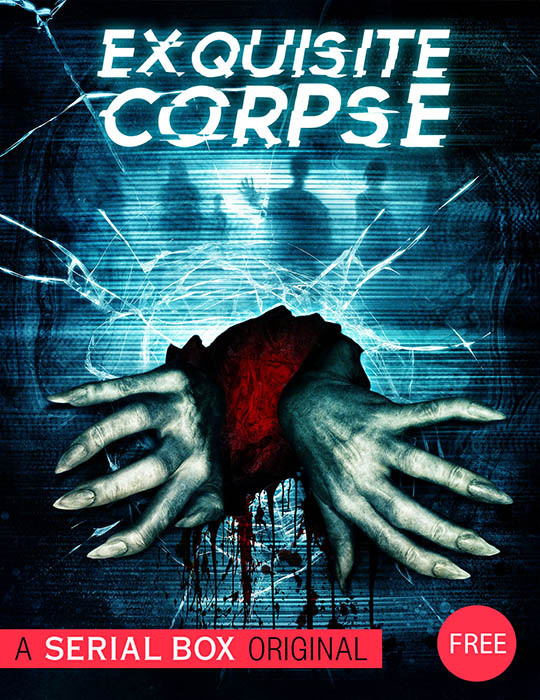 Created in the style of the classic parlor game, Exquisite Corpse, ten of Horror's most terrifying authors each contributed a chapter, picking up the story where the previous writer left it, adding their own nightmarish short installment and passing it on to the next (un)lucky participant. Exquisite Corpse takes everything that’s great about our full length series— collaboration, serialization, ebook and audio bundled—and delivers a story that’s quicker and more experimental.